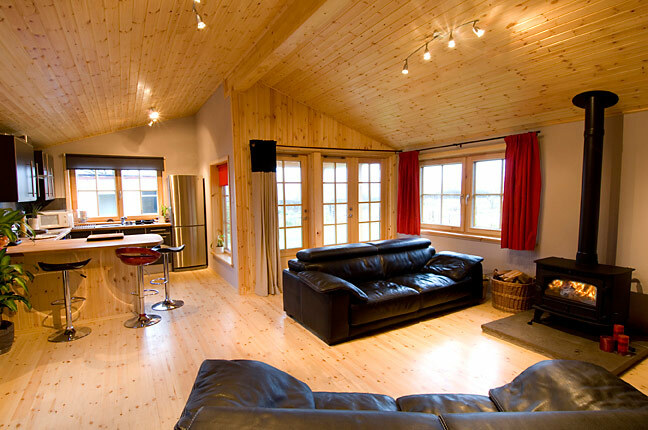 Modular Homes, Timber Frame Affordable Homes. Our Modular timber frame home’s construction take days to build on site. In fact our record time of house built is 10 hours to wind and water tight stage. Designed to your specifications and built in our factory under strict quality controls. Made from Gluelam, post and beam combined with superior pre fabricated timber frame insulated wall’s sections up to 6 metres. Delivered to site and erected on your foundations to wind and water tight, including triple glazed windows and doors, inner walls, floors, roof and exterior clad / finish within days. These eco friendly quality homes yet affordable are synthetics free, made of natural materials. They conform to and are ahead of UK Building regulations, are super insulated, including some of best fixtures in Western Europe for triple glazed windows and doors, flooring, stairs, effective sound insulation for inner walls, Velux roof lights and much more. The lack of affordable housing is an issue affecting all. We at Log Home Scotland are looking for like minded people to work with, local housing associations, community projects and private individuals. To learn more, please get in touch.